AN Apostolic sect member was remanded in custody yesterday for fondling his Grade Seven daughter’s breast and inserting his finger into her privates while conducting a virginity test. 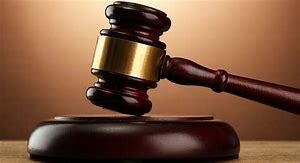 The 39-year-old man (name withheld to protect the identity of the minor) appeared before Mutare magistrate Lazarus Murendo yesterday facing three counts of indecent assault and one count of aggravated indecent assault. The accused, who is denying the allegations, was remanded in custody to April 12. According to prosecutor Percy Musukuto, on a date yet unknown, but sometime in the last quarter of 2018 the accused sneaked into the complainant’s bedroom and fondled her breasts while she was sleeping. The complainant asked the accused what he was doing and he said he was helping her. The accused continued indecently assaulting his daughter even during the day when her mother was away. The matter came to light on March 26 after the complainant screamed when her father again sneaked into her bedroom. Her mother woke up, asked why she was screaming and she narrated the ordeal to her. This led to the man’s arrest.